Eggnog is one of those flavors that just tastes exactly like Christmas to me. I get really, really, really excited when I first see it in the stores each year. I swear it's getting earlier every year....but that doesn't matter to me. I bought my first carton in October this year, when my youngest son gleefully pointed to it and announced "Look mom, snowman milk!!" He's three. So I thought this was adorable. 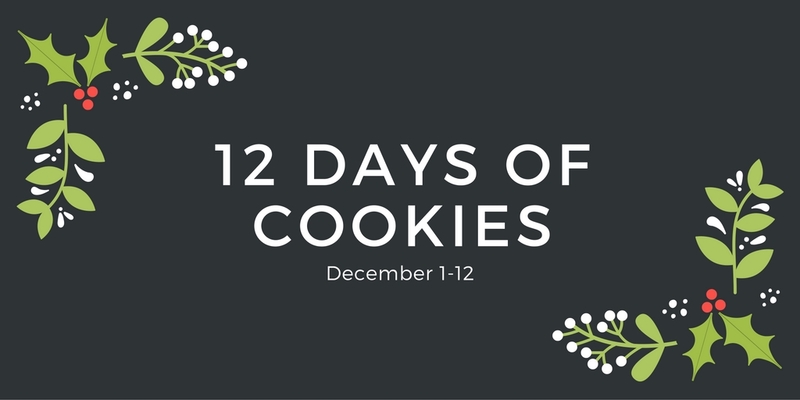 When I signed up to be a part of the 12 Days of #ChristmasCookies, I knew I wanted to incorporate eggnog. I managed to come up with two eggnog cookies this year. I've already shared one, back on December 4th, my Eggnog Biscotti. This one is equally delicious - and fun, because it has a yummy little Hershey's Hug on each chewy, sugar coated cookie. The sugar makes them glisten a little. These were declared a winner in my household, and I hope they will be in yours, too. 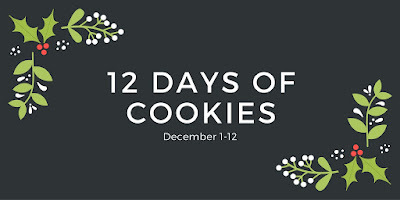 Again, be sure to check out what everyone else has baking today, by visiting each of the links at the bottom of this post! Unwrap the Hugs and put them in the freezer while you make your cookies. If they're cold, it helps them from melting into your cookies! Beat softened butter until very creamy. Add sugar, and continue beating until light and fluffy. On low speed, gradually beat in eggnog, then vanilla. Combine flour, baking soda, nutmeg, and pinch of salt in a small bowl. Stir into the eggnog mixture until well combined. Cover the dough and chill for approximately 1 hour. Shape dough into 1.5 inch balls. Roll in sugar and place about 2 inches apart on a parchment lined cookie sheet. Gently flatten (just slightly!) with a fork (or a glass if you don't like any marks). Bake for about 11 minutes in a preheated 350F oven. The should look just done. 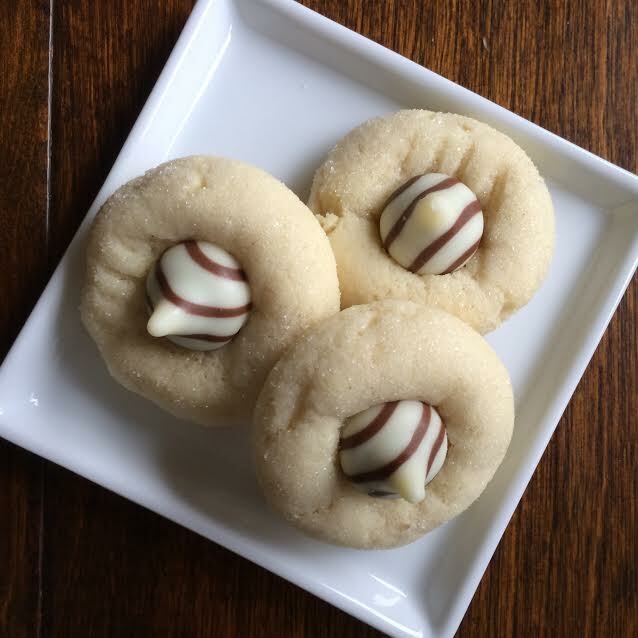 Allow to cool on your baking sheet for about 2 minutes, and then place one of your frozen hugs in the center of each cookie, applying a little gentle pressure to "press" it into the middle. Remove to fully cool on wire racks. Love these cookies, especially the name. These are so cute! I love eggnog I got to try these!